Special Stories – a Great Idea and Website! 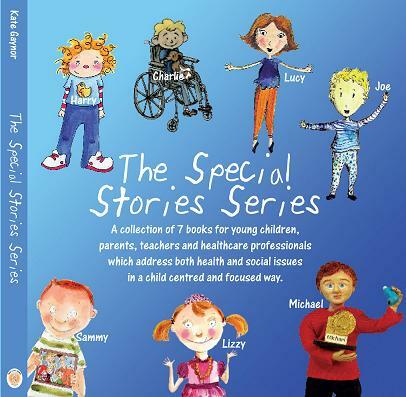 Special Stories Publishing is an award winning Irish publishing company which specialises in books for children, parents, families and schools throughout the world. We introduce disabilities, social, health and education issues to all children in a child focused and unique way. Our stories are designed to celebrate diversity and difference and help children to learn the importance of accepting all friends and classmates as equals. Special Stories has partnered with a diverse range of charities and organisations throughout Europe, offering each one the chance to tell their very own ‘special story’. When addressing such sensitive issues, joining forces with a professional organisation is vital to offer children and families the highest quality product possible. All books published through Special Stories Publishing are reviewed and approved by healthcare professionals of the associated topics in question. Such as teachers, foster care and adoption social work teams, diabetes nurses and speech therapists, all of whom are experts in their field.